We would like to introduce the Narnia Tieback; it’s fun, fashionable and bang on trend. 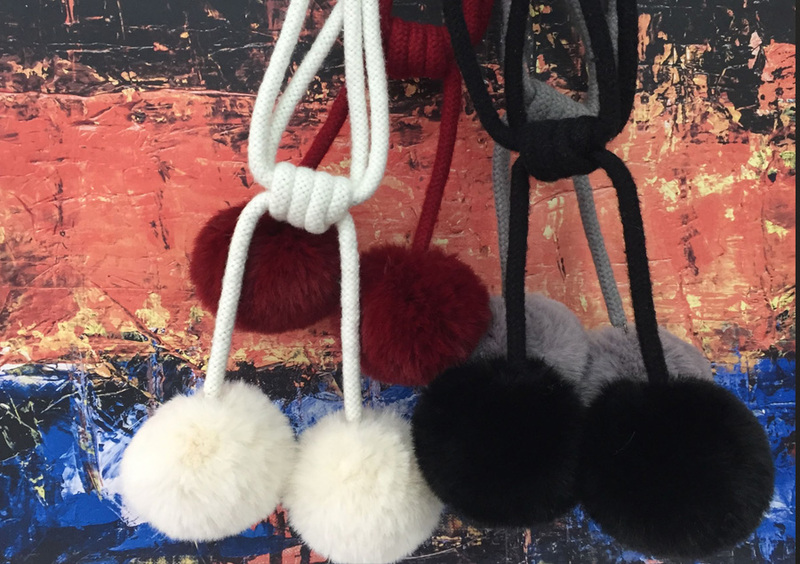 Pom-poms have taken this season by storm featuring on accessories, clothing and shoes so were hugely excited to welcome it to interiors too. Available in four block colours from juicy cranberry that will add an instant shot of colour to neutral shades of cream, black and silver that compliment most colour schemes. The super soft faux fur poms can be used to soften the sometimes-harsh lines of contemporary design and they also transition effortlessly to the next season, with Autumn just around the corner followed by, I’m about to say it…. Christmas! !